Have you heard about our health screenings? In our experience we know that a health screening can help identify serious illness at an early stage in even the healthiest of people. So why not give your employees the benefit of a health check this year? Welcome to Kerr Henderson. Established in 1962, with offices in Belfast and the City of London, the Kerr Henderson Group is a family-owned business that takes pride in offering a comprehensive range of services for private individuals, employers and trustees throughout the United Kingdom. Whether you’re planning for your future or want to secure a benefits package for your employees, Kerr Henderson is here to guide you in your pension, insurance and investment needs. With over 50 years of experience behind the Kerr Henderson name, our success has been built on a strong foundation based on our expertise and ability to develop long-term relationships with all our clients, private, trustee and corporate alike. With our traditional family values, professionalism and recognised integrity, our unique approach has been the key to our success and will continue to underpin the provision of all Kerr Henderson advice and services in the future. 1962 - Company Founded - at that time called Summer & McMillen Ltd.
1976 - Company moves to its current premises in College Gardens, Belfast. 1994 - Name changed to Kerr Henderson (Financial Services) Ltd; Kerr Henderson (GIS) Ltd founded. 1998 - Kerr Henderson (Consultants and Actuaries) Ltd founded (formerly known as KHBW). 2012 - Office in London opened; 73 staff working from the Belfast office. 2013 - Established joint venture with Moore Stephens Chartered Accountants. 2015 - 85 staff working from the Belfast office. At Kerr Henderson we believe in providing the best possible advice and service with, where appropriate, a wide range of products to all our clients. Whether you're an individual looking for wealth management advice, a business looking to boost your employee benefits offering with income protection or critical illness cover, an SME looking for guidance on auto-enrolment and commercial insurance or pension scheme trustees looking for a single adviser and administrator for your scheme, you will enjoy the same high standard of professional care and tailored advice that all our clients receive. For a full breakdown of our services take a look at what we offer below. Whether you’re an SME or a new start-up company, Kerr Henderson provides a wealth of services designed to guide and support you, whatever your business sector. From business insurance to auto-enrolment for workplace pensions, our team of pension consultants, actuaries and insurance specialists is ideally placed to provide you with expert advice and support. With the introduction of auto-enrolment in October 2012, every UK business (or employer) with at least one employee must now facilitate a workplace pension scheme. This includes defined contributions from the employer as well as a legal requirement to comply with an assigned staging date. Kerr Henderson understands that for many SMEs and start-ups this legislation brings considerable administrative change and financial implications that may present them with unexpected challenges. In addition, non-compliance may lead to fines as imposed by the Pensions Regulator. Forward planning and management of workplace pension schemes is essential. We recommend that all employers commence planning as soon as possible, as auto-enrolment not only impacts your existing pension arrangements but also Human Resources, payroll and other administrative functions. Whether you have one employee or 250, these issues may also be significant for those employers who already provide pension arrangements. Kerr Henderson is here to provide guidance and expert support on your current requirements, whether you have any pre-existing pension scheme. Kerr Henderson can help you navigate your way through the auto-enrolment challenge. Visit our dedicated auto-enrolment website now and follow us on Twitter (@incorporateUK) for the latest updates on auto-enrolment and employee benefits. A fundamental strategic issue for all businesses is the shape and scope of your employee benefits, including any pension arrangements you provide to your employees. What are our statutory obligations & constraints? What are the business objectives in relation to staff pension provision? Where does pension provision sit in the overall remuneration strategy? Do our pension arrangements comply with auto-enrolment requirements? What form of pension arrangements best achieve our objectives? Do we have a legacy defined benefit scheme? What steps are required to implement pension change? How will change be communicated? We understand that making changes to staff pension schemes and the advent of auto-enrolment means your business strategies need to adapt quickly. Kerr Henderson can help you and your business see things from a fresh perspective and together we can effectively review your objectives and work with you to develop and implement a suitable strategy for the future. No matter what size of business you operate, it's important to ensure that you can attract the best candidates for your career vacancies while providing benefits for your existing workforce. Group risk benefits such as life insurance or death-in-service benefit, group income protection and health insurance, as well as critical illness cover and generous pension contributions, are fast becoming the staff retention tool of choice for businesses throughout the UK. Kerr Henderson has a specialist team of consultants dedicated to the provision and administration of these benefits, offering a straightforward and honest appraisal of your existing employee benefits package. Is your pension scheme and employee benefits package fit for purpose? With more and more people becoming aware of how to position themselves in order to plan for the future, it’s never been more important for employers to assess the quality and strength of their benefits package. By 2018, all employers with one or more members of staff must provide a qualifying workplace pension scheme. With a mass of recent publicity on the topic you can be sure that your staff are thinking about how they can best plan for retirement and their loved ones in the event of death or illness. How you approach this increasing awareness is critical to maintaining an engaged and motivated workforce. Employers who have opted simply to comply with the statutory minimum obligations are now faced with the revision of existing provisions in order to remain competitive. More forward-thinking organisations are using ‘total reward’ as a central tool for recruitment and retention. If you would like to review all or part of your employee benefit/total reward strategy, contact us today. Download a copy of our digital Insurance Brochure for a complete list of our services. Just as you would insure your home or your car, Commercial Property Owner's Insurance provides cover for individuals and businesses who own one property, or indeed a portfolio of commercial lets. We put your financial well-being and future security first. Our team of professionally qualified financial consultants work closely with you and your other professional advisers to ensure any investments and plans we may propose reflect your personal objectives. No matter what your age, Kerr Henderson ensures your investments, pensions and relevant assets are positioned to deliver a return on investment that meets your expectations. We do the hard work for you, making sure we take due account of relevant legal and taxation considerations. From young families with dependants to plan for, to self-employed individuals wanting to safeguard income streams, Kerr Henderson understands that protecting the people you care about most informs your lifestyle choices, strategies and any potential investments. Understanding what drives you helps us create tailored advice based on what you need should the worst happen, ensuring you and your loved ones can focus on the things that matter today, without worrying about your future of your finances. From income protection and critical illness cover to succession planning, our services extend to the provision of help and advice for your beneficiaries who may have to deal with immediate financial upheaval in the event of your death. Among the hallmarks of our service is the ability to work with you to develop a suitable investment portfolio that meets your personal objectives and provides you with an approach that accommodates potential changes in your circumstances. Tax efficiency, investment flexibility and performance with an acceptable degree of risk are at the heart of the private client services we offer. You’ve heard the saying ‘tax doesn’t have to be taxing’ and we couldn’t agree more. We understand that personal taxation can be a minefield. At Kerr Henderson, we can advise you on the tax reliefs that are available to you through investing and managing your income, helping you to keep your tax to a minimum and enabling you to maintain the optimum tax efficiency of your overall wealth. Planning for the future and the security of your loved ones is something we all think about. Putting plans and arrangements in place now provides reassurance that your family will be provided for. At Kerr Henderson, we facilitate a number of trusts and trust fund options, giving you the peace of mind that the people you care about are protected. We help you ensure that your wealth is passed through the generations for the wider family benefit. Our consultants work with you and your other professional advisors to understand your objectives and needs, helping you to manage your wealth and assets for the future. From computers and smart phones, treasured items and general contents, to the bricks and mortar housing your valuables, Kerr Henderson offers both advice and access to a range of products designed to protect the things that matter to you. We all have things we want to protect and for very different reasons, that’s why Kerr Henderson takes a personal approach to household insurance, ensuring that what you pay for is what you actually need and will cover you appropriately should the worst happen. We work with you to assess the level of cover that’s appropriate for you and offer advice and tailored products to suit your requirements. We look at every case on a person to person basis, assessing your specific circumstances on their own merit. Whether it’s the latest in smart technology, family heirlooms and antiques, or the furniture and adornments your loved ones consider home, simply buying an ‘off the shelf’ policy may not give you the cover you require should something be lost, damaged or stolen. Most standard household policies have limits for valuables and will often have stringent security restrictions that could mean a significant claim is either not paid in full, or even potentially declined. Kerr Henderson recommended policies that return the value listed on your schedule and don’t set claim limits according to ‘current market value’. We’re proud to say that the speed of claims settlements also makes for a refreshing change. Provided the insurer has all the documents they need, monetary settlements can be wired to your bank account within 48 hours. Our approach to Motor Insurance is also different. From the start we’ll agree the value of your car, then in the event of a total loss, the amount paid out is the amount shown on the schedule. Let’s face it, whether it’s a classic car, a sports car or an everyday run around, not every make and model can be replaced like-for-like, especially if you only get the market value for the total loss of your vehicle. Kerr Henderson works with you to agree the value of your car, so hopefully there won't be any nasty surprises should you need to claim. As you might expect, this kind of tailored car insurance may not be the cheapest of the options available, but in the event of a loss, chances are you'll be exceptionally glad you took our advice. Kerr Henderson provides financial planning, pensions administration, actuarial and investment services to the full spectrum of businesses. Whether you are a sole trader, partnership, limited company, or PLC, we provide the full range of employee benefits and insurance services. Auto-enrolment legislation states that all UK businesses with at least one employee must now put in place a workplace pension scheme, including minimum defined employer contributions by an assigned staging date. This has been a fundamental and radical change to the UK pensions landscape and best practice guidance recommends advance planning and careful management of workplace schemes now, in order to reduce the impact on your Human Resources, Payroll and Administration departments. Kerr Henderson understands that, for many organisations, this legislation brings with it the potential to disrupt existing operations, and the threat of non-compliance leading to fines as imposed by the Pensions Regulator. Our consultants are ready to guide your organisation, whatever your staging date for workplace pensions. We provide expert advice and support for all business types throughout the UK, helping them to decide on how best to comply while investing in the future of their employees today. Whether you have one employee or 250, these issues may also be significant for organisations that already provide pension arrangements. Kerr Henderson can guide and support you on what your requirements are now, regardless of any pre-existing group pension scheme. Visit our dedicated auto-enrolment website now and follow us on Twitter for the latest updates on auto enrolment and employee benefits. In today’s competitive business environment it’s never been more important for employers to carefully plan and manage their staff pension schemes. A fundamental strategic issue for all businesses is the shape and scope of their employee benefits, including any pension arrangements you provide your employees. Kerr Henderson can help you and your business see things from a fresh perspective. By enabling you to take a step back, together we can effectively review your objectives and work with you to develop and implement a suitable strategy for the future. Kerr Henderson have a specialist team of consultants dedicated to the provision and administration of these benefits, offering a straightforward and honest appraisal of your existing employee benefits package. By 2018 all employers with one or more members of staff must provide a qualifying workplace pension scheme. With a mass of recent publicity on the topic you can be sure that right now your staff are thinking about how they can best plan for retirement and their loved ones in the event of death or illness. How you approach this increasing awareness is critical to maintaining an engaged and motivated workforce. Employers who have opted to simply comply with the statutory minimum obligations are now faced with the revision of existing provisions in order to remain competitive; with forward thinking organisations using ‘total reward’ as a central tool for recruitment and retention. Kerr Henderson’s Commercial Property Owner's Insurance provides cover for organisations with one or more commercially let properties. Whether you require cover for 1 premises or a portfolio of commercial lets, our expert consultants can assess and determine the level of insurance that is appropriate for you. With our existing clients responsible for a range of pension schemes with assets of £5m to over £1bn, Kerr Henderson provide a comprehensive range of services to the trustees and sponsoring employers of both defined benefit and defined contribution schemes. Whether you're looking for a first-class pension administrator, assistance with best practice in trustee governance, advice on de-risking your scheme or simply a safe, professional home for your pension scheme, our team of expert trustee advisers and actuaries is here to help. Click here to Download the 2014 Trustee Pension Bulletin. To find out more information about our services for Pension Scheme Trustees and Sponsoring Employers - click the links below. A copy of our most recent external quality assurance report is available by contacting us. Kerr Henderson provides actuarial services to the trustees and sponsoring employers of defined benefit pension schemes. Irrespective of the size or complexity of your scheme, we’re here to guide you through the pensions maze. Our team of consultants and actuaries comprises four Fellows of the Institute and Faculty of Actuaries, all of whom hold Scheme Actuary Certificates. Our actuaries have, on average, 20 years' experience and are fully supported by a team of actuarial trainees. As a trustee your responsibilities, and how you manage them, will depend on whether your employer offers a defined contribution or defined benefit scheme. Increasingly, following the closure of many defined benefit schemes, Trustees in conjunction with employers are now seeking to manage and reduce their investment risk. The processes and procedures followed in our pension plan administration function are subject to an annual independent audit. This annual audit under AAF/06 provides clear evidence to our current and prospective clients that our pension administration processes stand up to external scrutiny. A copy of the most recent audit report is available by contacting us. Your Kerr Henderson pension consultant will guide you through the maze of legislation, guiding you on best practice and providing expert assistance in relation to any major changes or events affecting your scheme. Our consulting team is made up of consultants who are Fellows (or Associates) of the Pensions Management Institute. Ensuring good trustee governance is key to the sound and effective management of any pension scheme. Kerr Henderson helps clients to develop, implement and maintain internal controls, structures and procedures in line with best practice. Our consultants will help trustees draw up a business plan, risk register and outline conflicts of interest policies. Trustees can now take advantage of an excellent training facility developed by the Pensions Regulator - the Trustee Toolkit. The continuous development of Trustee Knowledge and Understanding is compliance critical practice and an essential ingredient of the statutory requirements of good governance. Featuring a series of modules and downloadable resources, the Trustee Toolkit has been developed to help you meet the statutory minimum knowledge and understanding. Kerr Henderson can help trustees complement this private study through the delivery of expert-led training sessions. Each session is tailored to your specific needs, ensuring the attendees' knowledge is developed and enhanced according to your requirements. Training events range from 30-minute training slots at trustee meetings, to stand-alone half-day or full-day sessions. Our trainers will assess and agree a format that suits you and your schedule. If you would like to find out more information on any of our Trustee Training services, contact us today. We can help trustees to develop a high quality, informative and engaging communication strategy for the members of your pension scheme. Design, development and maintenance of pension scheme websites / portals. Group Life Assurance is often linked to membership of a defined benefit pension scheme. Kerr Henderson can review, market and administer schemes of all sizes including the handling of claims. We have a specialist team of consultants and administrators dedicated to the provision and administration of these benefits. Your current scheme will be assessed in both its structure and premium efficiency, ensuring your organisation is communicating and delivering these benefits appropriately in the best interest of the members and the financial security of the sponsoring employer. In any organisation it is essential that employers and trustees play a role in the running of their pension schemes. While many trustees are unpaid volunteers, the legal requirements placed upon these positions can be onerous. Kerr Henderson recognises that understanding the rules and regulations of a pension scheme, while making important financial decisions, is a complex role falling on the trustees personally. Failure to follow these regulations can prove disastrous for the reputation and financial security of the individual and, often leads to costly legal action. Kerr Henderson can also provide Benefit Plan Liability Insurance for employers and trustees of schemes at all stages in their lifecycle, from ongoing coverage to winding-up of schemes and incepting missing beneficiary policies for wound-up schemes. Want to find out more? Get in Touch with us! Our Client is a SME active in the Northern Ireland technology sector. Their staff were becoming increasingly attracted to larger technology companies who were entering the market and trying to attract their staff by offering company benefits that usually only large companies could really offer. We had to help our client find a way to retain their existing staff and also persuade new potential recruits that they should at least consider an SME employer. The company already provided Life Cover and Income Protection Cover and assumed that providing benefits which mirrored the larger competitor companies would have been cost prohibitive. One of the main complaints received by their staff was that sick pay cover was non existent other than the statutory minimum. Yet, for the company to honour a better sick pay policy would have meant an unknown cost. Kerr Henderson sourced a sick pay policy which bridged the gap between 2 weeks continuous sick leave and the income protection policy taking effect. The insurer also offers rehabilitation services so the client quickly saw that a level of HR work would be done for them by the insurer in assessing the validity of any claims. The client also opted to provide a Health Cashplan to provide optical, dental, therapy, consultation and MRI Benefits to all staff. Whilst not a full Private Medical Insurance policy, this did provide staff with the means to get quicker treatment for conditions, and the employer to get them back to work earlier. To ensure that the client's staff best understood how they might utilise these benefits to their advantage, Kerr Henderson in conjunction with the client presented all the benefits to them in small workshop style groups. If you would like to find out more on Corporate Pensions & Employee Benefits - take a look at our dedicated website. Our Client lives in a substantial home on a road that is notoriously close to the seashore on the County Antrim coast. When they received the renewal notice for their household insurance from their existing insurers they realised that flood damage was not included in the policy, even though they had lived at that address for over 25 years and had never made a claim for a flood on the policy. Most insurers now use freely available flood mapping data, which can highlight the postcodes or indeed post sectors that are most susceptible to flooding, and in some cases they will refuse to provide flood damage cover at any price. This of course might be acceptable if you do not have a mortgage and are prepared to take on that risk yourself, however with the balance of a potentially huge repair bill after a flood compared to what could be a potentially minuscule additional premium on your policy – it’s fairly obvious where we would rather be positioned. To solve this problem we spoke to Chubb Insurance, a UK insurance provider that specialises in providing cover for those clients with larger homes, high worth contents and valuables. What’s maybe different about Chubb is that they survey each and every home that they insure, which ensures you are paying the correct premium, for the correct cover. Chubb were able to establish very quickly that our client’s home was not at a high risk of flooding as some other insurers had thought as it was set well back from the shore and beyond significant sea defences, in doing so Chubb were happy to provide the cover without an excessive unrealistic premium. John is Chairman of the Group and the Director responsible for our Corporate Proposition which includes Group Pensions and Group Risk. He's also the director in charge of our joint venture company Incorporate Benefits LLP which provides leading edge solutions in the Employee Healthcare and Corporate Health & Wellbeing arena. 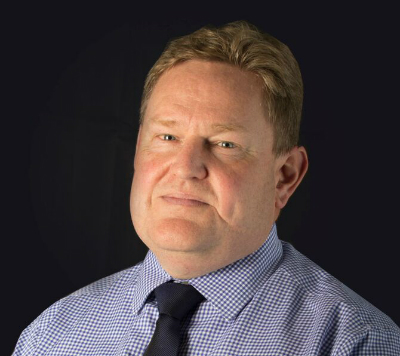 With over 20 years' experience in financial services and general insurance, John specialises in insured group protection contracts and corporate health and wellbeing arrangements as well placing pension trustee liability policies and other specialist general insurance products. Dympna has over 20 years' experience in the pensions industry, advising both trustees and employers on all aspects of their pension provision. Dympna currently has 12 scheme actuary appointments and is a Director of KHCA. 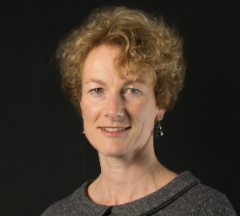 She has responsibility for student education and training and for operational management within the pension administration and actuarial teams. Maxwell is a Director of Kerr Henderson (Financial Services) Limited, heading up the Private Client division in both the Belfast and London offices. 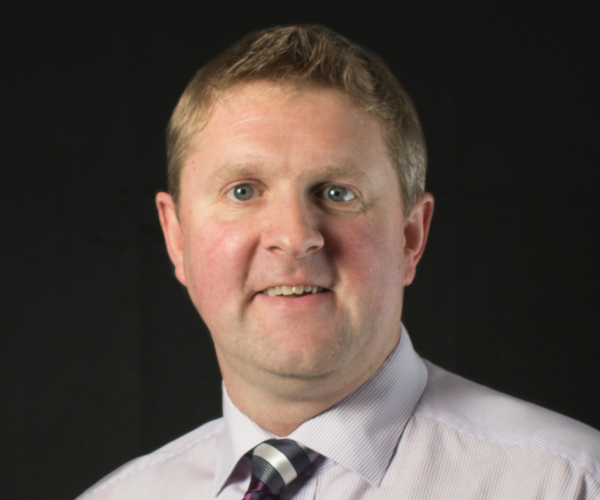 A graduate of the University of Edinburgh, Maxwell joined Kerr Henderson in August 1999 and has some 36 years’ experience in the financial services industry. 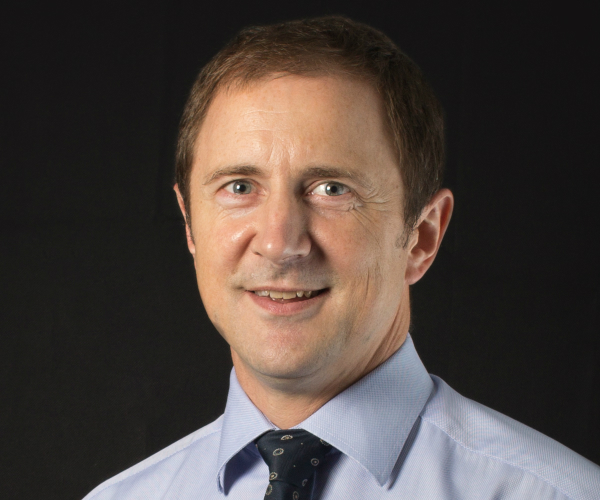 He became a Chartered Financial Planner in June 2008 and a Fellow of the Personal Finance Society in 2012; he is also a member of the Society of Trust and Estate Practitioners. 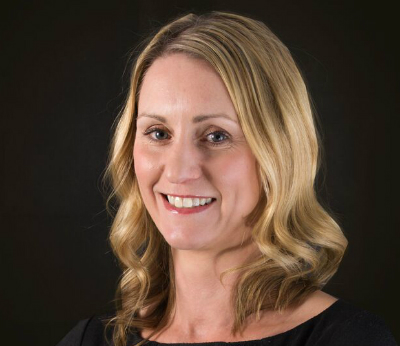 Nikki is a private client adviser providing all aspects of financial advice to individual clients and to small and medium sized businesses. Nikki has over 15 years' experience advising clients and some 25 years’ experience in the financial services industry. She is a Chartered Financial Planner, achieved Fellowship of the Personal Finance Society and is also a member of the Society of Trust and Estate Practitioners. 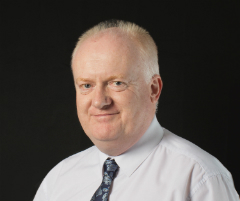 Michael is Managing Director of the Kerr Henderson Group. He started as an administrator with UK Provident in 1982 and moved to Clerical Medical in 1985 where he worked as a pensions consultant and Pensioner Trustee. 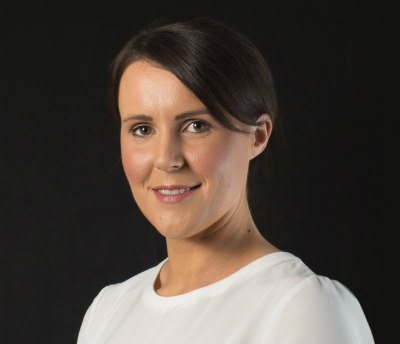 Fiona Laughlin joined Kerr Henderson in 2001 after graduating from Queen’s University Belfast with a First Class Honours degree in Mathematics. Fiona is a part qualified actuary and is studying towards the actuarial exams. 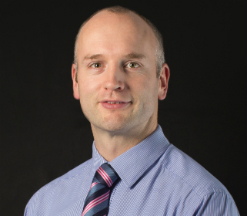 Anthony is a scheme actuary with over 15 years’ experience in actuarial consultancy. 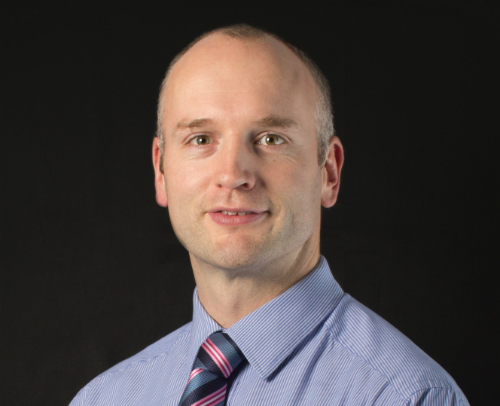 Anthony graduated from Queen’s University Belfast and worked in London before joining Kerr Henderson in 2001. He is scheme actuary to a number of small to large pension schemes and advises on all aspects of pensions strategy to both trustees and employers. Stephen is a private client tax adviser specialising in Investments, Pensions, Trusts, Estates and Inheritance Tax, providing advice to clients within the personal financial services department. 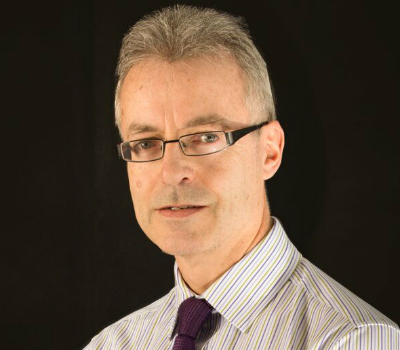 Stephen has over 20 years' experience advising clients, both on tax planning and financial planning. 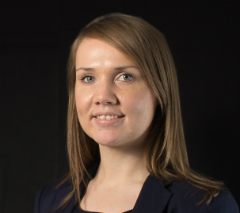 Bronagh is a part qualified actuary and currently holds a Diploma in Actuarial Techniques. She works as the main support to scheme actuaries on a wide range of schemes and also has responsibility for managing client activity on her portfolio. 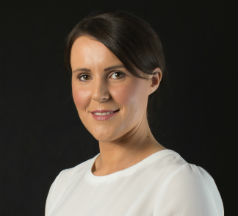 Bronagh joined Kerr Henderson in 2004 after graduating from Queen’s University Belfast in 2004 with a first class honours degree Mathematics and Computer Science. Philip is a director of Kerr Henderson and has 20 years' experience as an actuarial and investment consultant, advising both trustees and employers on all aspects of their pension provision. Philip currently holds a number of scheme actuary appointments, and in addition to his client duties, is responsible for Kerr Henderson's actuarial and investment strategy. 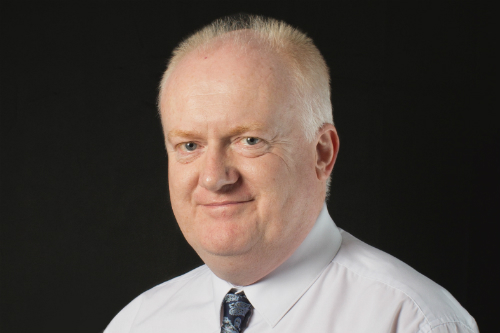 Andrew is the Managing Director of Kerr Henderson (General Insurance Services) Limited. Educated at King Edward VI Grammar School (Chelmsford) and Bangor Grammar School, Andrew began his career with Commercial Union (now part of Aviva) in 1982 and became an Insurance Broker in 1989 with his own business before joining Kerr Henderson in 1995. As well as overseeing the day-to-day operations of the company, Andrew advises both personal and commercial clients on a broad range of general insurance products. Jason has over 10 years experience working in the financial services industry. 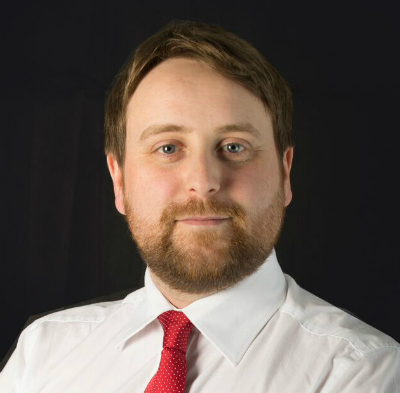 He specialises in providing regulated financial advice to private and corporate clients on all aspects of their needs primarily focusing on: investment, protection, pensions and retirement and tax planning. 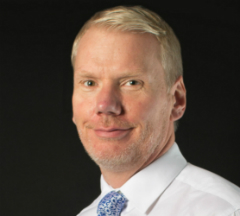 Bruce joined Kerr Henderson in 2015 having worked in various roles for insurance companies where he accumulated experience before becoming an independent financial adviser in 2013. 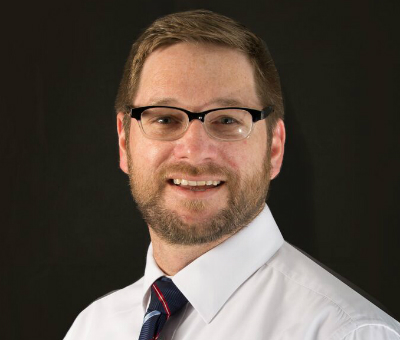 With over 17 years experience in financial services, 4 of which accumulated in South Africa Bruce provides advice on pensions and investments. 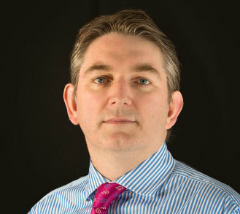 Mark is a Client Manager and Consultant with Kerr Henderson (Consultants and Actuaries) Limited and has responsibility for has responsibility for a portfolio of defined benefit and defined contribution corporate pension clients both in England and Northern Ireland. Mark began his career with the employee benefits division of Willis Corroon. During his time at Willis he was responsible for providing consultancy and administration services for a wide range of pension schemes (both insured and self-administered) and associated employee benefit arrangements. 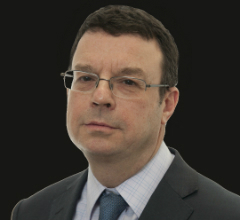 Mark joined Kerr Henderson in June 1997. 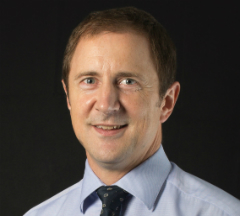 David provides pensions consultancy and secretarial services to a portfolio of defined benefit clients and assists in the provision of investment advice to KHCA’s corporate clients. David joined Kerr Henderson in 2003, initially working as part of the administration team servicing defined benefit, defined contribution and group risk schemes. Tommy provides financial and taxation advice to the individual and to medium sized private businesses. He specialises in formulating individual strategies to meet clients’ objectives during their working lives and in retirement. 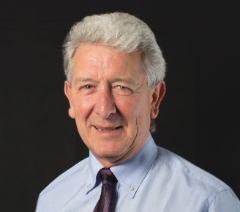 Tommy commenced his career in Sun Alliance as a professional trainee in 1974 and has a wealth of experience as an independent financial adviser since 1981. His main areas of specialism are tax efficient personal investment, investment within SIPPs and SSAS, personal and business protection, planning retirement strategies, Inheritance Tax planning as well as analysing and reviewing existing portfolios. 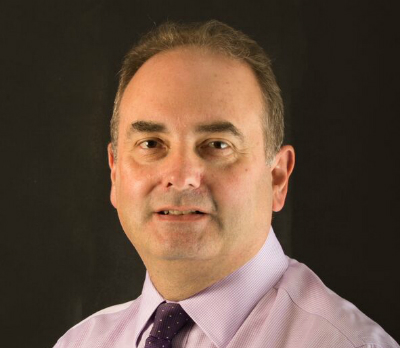 David has over 20 years’ experience working in the financial services sector. He provides fully regulated financial advice to both corporate and private clients on pensions, retirement planning, protection and investments. Prior to joining Kerr Henderson David worked for a number of consultancy practices and large financial institutions. 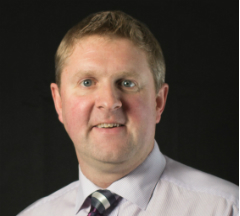 David holds the Diploma in Financial Planning and is a qualified mortgage practitioner. He is a member of The London Institute of Banking & Finance. Robert graduated from Birmingham University with a degree in Mathematics, Economics and Statistics and obtained an MSc in Econometrics and Mathematical Economics from the London School of Economics. He qualified as an actuary in 1983. Kerr Henderson has grown over the past 50 years to become not just one of the largest independent financial advisory firms in Northern Ireland, but a significant player in the UK employee benefit consultancy market. As advisors to private clients, trustees and businesses with services ranging from general insurance to large scale pension scheme administration we recognise that our business is built upon our people and we realise the potential that everyone in our team has to offer. We encourage all of our employees to be the best they can be in everything that they do. Our dedicated Staff Committee is responsible for arranging a variety of events throughout the year such as charity breakfast mornings, regular nights out, sports events and even competing in the team relays for the Belfast City Marathon. There is something for everyone here at Kerr Henderson, so if you would like to build your career in Financial Services - join our team - take a look at our current vacancies. We offer a 12-month placement to students studying for an actuarial degree. As part of our commitment to supporting young people, we have a strong link with Queen's University, Belfast, and many of our placement students are recruited there. The placement provides the student with an invaluable insight into the world of pensions and the world of work generally. Each placement student is assigned a mentor to assist in his/her development. The students work on a wide range of pension schemes, supporting experienced colleagues to meet the needs of our clients. We also offer 12-month placements to non-actuarial students. We take students from business and finance degrees to work within our administration department, where they will work on defined benefit, defined contribution and group personal pension schemes. We advertise for actuarial placement students in the autumn semester each year. Please check the Careers section of our website for details of any placements currently available or for further information please contact Dympna Kelly, dkelly@kerrhenderson.com. A quick conversation with one of our specialist team will help both you and us decide which of our services is likely to be suitable for you. Copyright © 2019 Kerr Henderson. All rights reserved. Kerr Henderson (Financial Services) Ltd (registered in Northern Ireland No. NI5131) is authorised and regulated by the Financial Conduct Authority, FCA Register Number 125322. Registered office: 29-32 College Gardens, Belfast BT9 6BT. Kerr Henderson (General Insurance Services) Ltd (registered in Northern Ireland No. 28521) is authorised and regulated by the Financial Conduct Authority, FCA Register Number 309312. Registered office: 29-32 College Gardens, Belfast BT9 6BT. Kerr Henderson (Consultants and Actuaries) Ltd (registered in Northern Ireland No. 34514) is an Appointed Representative of Kerr Henderson (Financial Services) Limited, FCA Register Number 188411. Registered office: 29-32 College Gardens, Belfast BT9 6BT. Our clients value the service we provide and often recommend us to others. Our written complaints procedure is available upon request but in the event that you have a regulated complaint that we cannot settle, you may be entitled to refer it to the Financial Ombudsman Service (FOS). Further information about the FOS is available from its website: www.financial-ombudsman.org.uk. Kerr Henderson is an equal opportunities employer and will apply objective criteria to assess suitability for positions within the organisation. We aim to ensure that no applicant or employee receives less favourable treatment on the grounds of race, colour, nationality, religion, ethnic or national origins, age, gender, marital status, sexual orientation or disability. Selection criteria is reviewed to ensure that individuals are selected, promoted and treated on the basis of their relevant merits and abilities. All employees will be given equality of opportunity and, where appropriate and possible, relevant training to enable them to progress both within and outside the organisation. Kerr Henderson is committed to a continuing programme of action to make this policy effective and bring it to the attention of all employees. This website and its owners through their social media platform accounts may share web links to relevant web pages. By default some social media platforms shorten lengthy urls using third party tools - (this is an example: http://bit.ly/zyVUBo). For Private Clients' Privacy Notice, please click here.